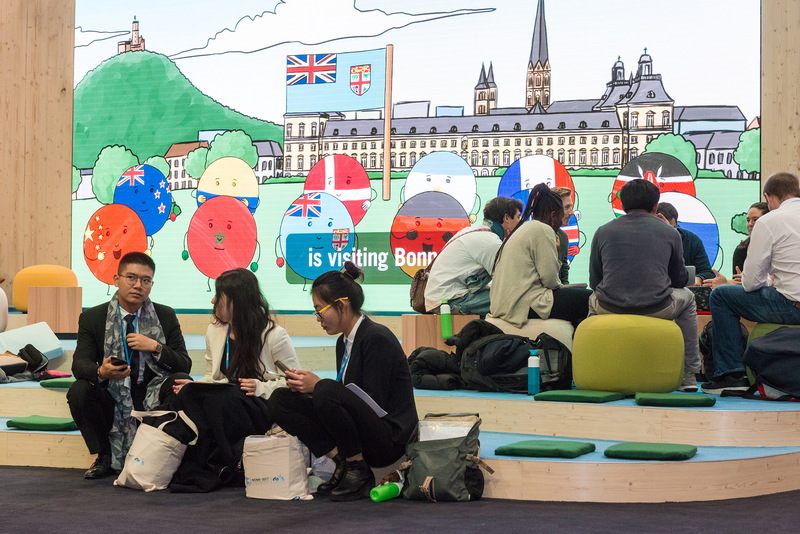 Political leaders, NGOs, businesses and researchers from all corners of the world are currently gathered at UN’s big climate conference, COP23, in Bonn. Halfway through the second week, we are entering the final stages of negotiations. 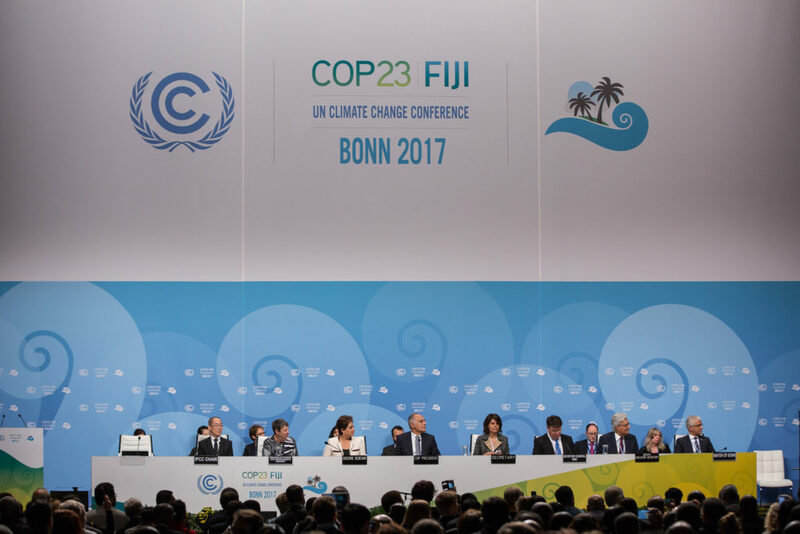 The main task of this year is to take the momentum that is still glowing after COP21 in Paris – where the Paris Agreement was reached – into the more technical preparations of the implementation of the Agreement. The purpose of it all is to create political solutions that can keep the global temperature increase below 2°C and limit the direst consequences of climate change. "The negotiations are not only complex, but they can seem indefinitely distant from us who are not invited to the negotiation table." The negotiations are not only complex, but they can seem indefinitely distant from us who are not invited to the negotiation table. Too often, we therefore conclude that we, as individuals, are powerless and that our personal efforts are in vain. We have, as individuals, ended up in a democratic dead-end. If you are among those who worry about the consequences of climate change and environmental degradation, you might have experienced that people encourage you to “vote with your wallet”. The point is that you, as a consumer, signal to the market that you demand products that are more environmentally friendly, that promote animal welfare, that are produced under fair working condition and so on. Your money is your vote in the parliament of the market. This vote can be a very useful tool. And we should not be afraid to use market mechanisms when appropriate. We can for example see how a change in consumer behaviour has contributed significantly to the phasing out of battery eggs and the increase in the production of organic produce. But a strategy which primarily bases itself on market mechanisms and an understanding of the individual as a consumer can only take us so far. Worst case, we risk that it sends us even further in the wrong direction. The goal of the Paris Agreement is to limit global temperature rise to 2,0°C compared to pre-industrial levels. The agreement is not legally binding but is built around voluntary contributions (the Nationally Determined Contributions, or NDCs) of the countries. The current contributions are projected to lead to a warming of 3,5°C – assuming the contributions (i.e. emission reductions) will materialise. If they do not materialise and we leave the climate in the custody of the market, we can expect a world that by the end of the century is somewhere between 3,5-5,0°C warmer than the pre-industrial world. "The combination of vulgar consumerism, an insatiable demand for resources, and a fetishist focus on growth is the main reason we find ourselves in our current predicament." It is unclear whether such a temperature increase is compatible with “human civilisation as we know it”. That is a true problem if we ever had one. The wax wings of Icarus melted when he out of arrogance flew too close to the sun. Today, we are in a similar fashion committing hubris. The combination of vulgar consumerism, an insatiable demand for resources, and a fetishist focus on growth is the main reason we find ourselves in our current predicament. The fact that we primarily see ourselves as consumers is a sign of how deeply our self-understanding is influenced by ideology. Ideology should not be understood as a collection of explicit political standpoints or beliefs, but as a value-laden worldview containing our most spontaneous understandings of the world around us. In what we can call capitalistic ideology the individual-as-consumer is idealised while the individual-as-citizen is deemed superfluous. Occasionally, the citizen is not only superfluous; she is an obstacle to the free market to materialise its natural right to envelop the whole world under its powerful and just wings. Ideology influences who we have obligations towards, how far our responsibilities toward others go, and within which domains it is appropriate to act. Unfortunately, we have good reasons to claim that we are too restricted on all three points in order to take meaningful climate action. "We must disentangle ourselves from the ideological cobweb which keeps us from acting." The ability to compete with others – the cardinal virtue of capitalism – limits our obligations towards other human being to such an extend that we almost exclusively ascribe intrinsic value to our own private interests and perhaps the private interests of a few people who are close to us. Our ethical responsibilities therefore rarely transcend our own private-sphere and rarely includes future generations (with the possible exception of our own children and grandchildren). Voluntary work that serves the community is not seen as a human obligation but as philanthropy. As a consequence, our main actions do not take place in the political or public sphere but are limited to the market where we as rational homo oeconomicus are able to maximise personal utility and well-being. (As a side-note, anyone who has ever watched a commercial will know that companies are doing all they can to incline you to make irrational decisions). The phrase of our time is neither “know thyself” nor “love thy neighbour”, but “Just do it!”. Reflection, moderation and selflessness are obsolete virtues. Just buy, enjoy, and be yourself! Just do it! An expanded capitalism, consumerism camouflaged in green and a continuation of business-as-usual is what made us reach this democratic, participatory dead-end. We must disentangle ourselves from the ideological cobweb which keeps us from acting. One way out can be found in the individuals themselves and what is often referred to as “civil society”, i.e. you, your friends and colleagues, your company or university, your local organisations, etc. What is needed is a move away from a self-understanding of the self-as-a-consumer towards the self-as-a-citizen. Such an ideological context must base itself on cooperation rather than competition, on a democratic worldview where personal responsibility transcends the private-sphere and on expanding the appropriate place for action to participation in public life as well. "What is needed is a move away from a self-understanding of the self-as-a-consumer towards the self-as-a-citizen." To secure accelerated action and enhanced ambitions in the negotiation rooms, we need the so-called civil society to stand firm. It is incredibly important that everyone pushes for change according to their abilities. We are getting nowhere without it. “This is the moment we finally determined we would save our planet”. These were the words of former President of the United States, Barack Obama, when the Paris Agreement was reached in December 2015. Regardless of our sentiments towards the current US President, this was a remarkable exaggeration. The size of our ambitions should be measured by the size of our contributions to solving the problem. Our current ambitions are, as mentioned earlier, not only insufficient, they are still far from being realised with 90% of the financing yet to be found. Climate negotiations have been going on for quarter of a century as this is what we have to show for it. That is, to say the least, unimpressive. Our wax wings will soon melt in the heat. While Icarus suffered his destiny alone, we are all going to experience the ocean approaching us rapidly. We must ask ourselves a very simple question: Can we consume our way our of this problem?